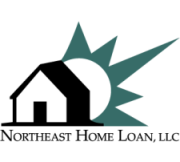 About NEHL Wholesale | Northeast Home Loan, LLC. Northeast Home Loan is one of New England’s best kept secrets when it comes to wholesale mortgage banking. We don’t have national aspirations, and we don’t grow our business by adding lots of clients. Our business model is predicated on some simple ideas. First, we’re a community-based lender, so we seek partners that are similarly focused on communities they know well and have a passion for serving. Second, we look for partners with the experience and know-how to submit well processed mortgage applications, which enables us to focus on what we do best: underwrite and close loans with as little hassle for the consumer, the appraiser, and the closing agent as possible. Because we run a high-touch customer service model, we’re able to be consultative with our third party clients, while at the same time keeping operational service levels running smoothly. For those third party clients that sell closed loans to us, we’ll purchase these loans with the certainty of a prior-approval or as delegated after test cases are reviewed. Best efforts rate locks are available while the loan is in process, providing you and your client with price certainty. Appraisal Management Expertise – we use no appraisal management companies, which means two things: our appraisal ordering and review process is highly efficient, because appraisal assignments are targeted effectively, and we’re able to review the appraisal with our own sound market knowledge, making the appraiser/underwriter relationship more streamlined and effective. Compliance Expertise – the world of mortgage regulation has become increasingly complex in recent years, and we pay close attention to developments as they arise. By actively managing our own company compliance and moving it closer to production operations, we’re able to consult with clients and assist their compliance when necessary. Portfolio Capacity – as a subsidiary of a community bank, our parent has an appetite for high credit quality loans that may not perfectly meet secondary market standards. If you’d like to discuss Northeast Home Loan’s wholesale offerings, please contact Andy Hadden at ahadden@northeasthome.com or (603)-256-8515 ext. 3522.